Female cats may come into season at 6 months of age and therefore risk an unwanted pregnancy whilst they are still very young. Castration is the removal of the testicles; if left un-castrated they may cause problems by being overly dominant or aggressive and may tend to wander. Un-castrated cats may also acquire a pungent tom cat smell and spray strong smelling urine around the home and garden. A spay is an operation performed under general anaesthetic to remove the uterus and the ovaries. When older they can develop a uterine infection called pyometra which can be successfully treated by hysterectomy. 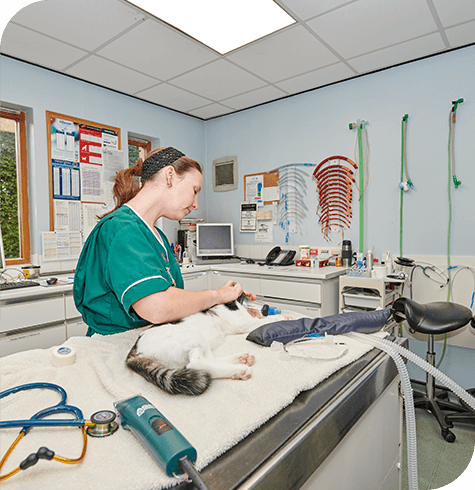 If you would like more information about the procedures, please contact the practice to speak to one our vets or nurses who will be able to go through this in more detail.